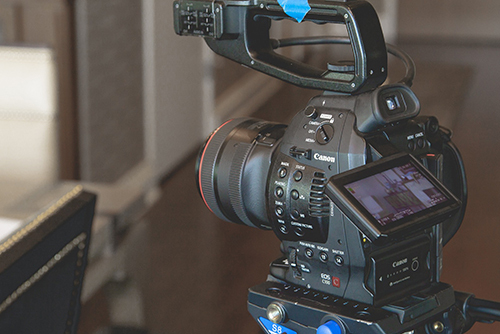 During the pre-production stage, primarily, it is essential to meet with the client to establish what they want the video to look like and what the video needs to achieve. It is important to establish the theme, key messages and how the company would like to be portrayed in the video and we always take these points on board throughout the productive development. When creating the concept for Cakeits video, we applied all of the points in development. It was clear we needed to produce something that would showcase the benefits and ease of use of Cakeit’s courses and cake decoration kit. When storyboarding and scripting, we take an imaginative approach and we are always open to new interesting ideas. As a team, we have creative meetings and run all our ideas past one another, including directors and editors, this assures us that our ideas can be achieved. Part of the production process requires the organization of location scouting and searching through our actor or voice over databases. For the Establishment’s video there was a lot of organisaton that went into lighting, sound, location scouting and prop handling that were essential to the visual style. The way something is filmed can change the audiences perspective of a video. There are many different filming techniques that can enhance viewer experiences. For example, we chose to use a track on Uniglobes video so that we can motion track the text to the movement. Having a good reliable crew is a key feature at Dynomite. We have a resource of production crew who filmed this video using a C100 and a canon 6D. They envisioned the visuals through the scriptwriters words, turned the storyboards into moving image and created a high-end glossy look for a corporate travel video. The final stages of film making is Post Production. Our editing software includes Final Cut Pro, Premiere Pro and After Effects. The editor’s processes cover editing sound, pictures and music, adding any special effects whether it be visual or audio, sound mixing, colour grading and title and graphic designs.